Once upon a time, on the beautiful Rainbow Island in the middle of the Sparkling Sea lived magical little people called Elfishki. Some of them could fly like butterflies and some could swim like mermaids. They shared the island with animals who could speak and trees who did not talk, but understood everything. All in all, this was a place where miracles happened every day. The next book is currently being developed. Its called Elfishki and The Unwelcome Guest. 1. Original, not found anywhere else captivating texts, designed to develop your child’s conscious reading skills - according to the Common Core State Standards for English Language Arts. 2. Stunning interactive art, classic animation and videos. 3. 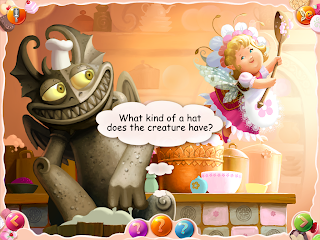 Professional Audio Voice over of the story, so your child can listen along with the text. 4. THREE(3) Questions on every page of the book specifically designed to help your child analyze the text, boost their imagination and make predictions about the story. 5. 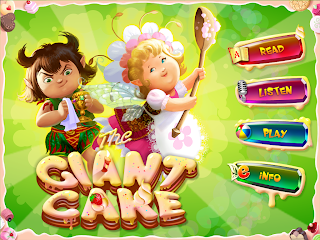 A bonus game specifically designed to boost your child’s imagination - Decorate the Cake - where you can save and share your child’s fantastic creation. For more information about more stories, please visit our website where you can find a list of fairy tales all based on our Elfishki characters. Elfishki and The Giant Cake The app costs $1.99! (for the next 3 days only! This is a wonderful interactive book! The sounds and colors are amazing! The story is a great message. There is also and interactive "decorate a cake game". When you finish your cake you can email them to friends and family. My kids liked playing with the different pages to see what would move and make a noise! I give this interactive book a 5 out of 5. Its very entertaining for the kiddos! 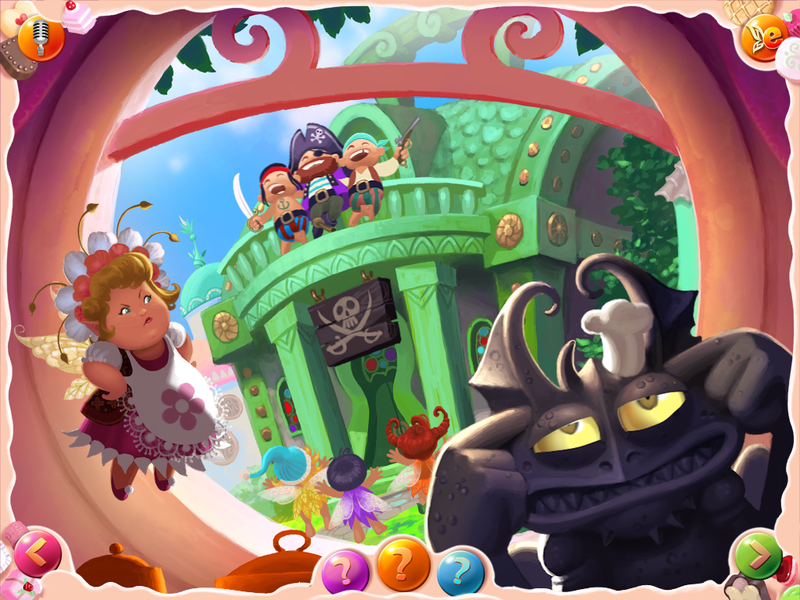 Elfishki and The Giant Cake has now been upgraded to verison 1.2 and is now available in Russian. The Russian voice is a male! Ever wondered what a story would sound like in Russian?? Disclosure~I received one or more of the products mentioned above for free using Tomoson.com. Regardless, I only recommend products or services I use personally and believe will be good for my readers.